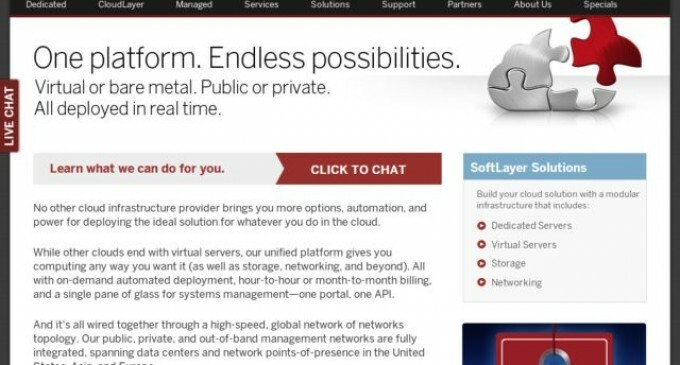 Web Hosting News – New York and Dallas – SoftLayer, an IBM Company, and Cloudera, a leader in enterprise analytic data management powered by Apache Hadoop™, today announced the availability of turnkey, multi-server SoftLayer infrastructure solutions running Cloudera platform. The on-demand solutions are built on bare metal servers engineered for Cloudera best practices and rapidly designed and deployed through SoftLayer’s easy-to-use solution designer tool. Customers may also extend their solutions’ capabilities and responsiveness by subscribing to Cloudera’s expert support at time of ordering.